Jesus Christ came to call His people. He paid the price for our sins so that God could forgive us and adopt us as His children. He will return to fulfill the promises God made through this gospel. This foundation gives us great hope. Meanwhile, as aliens and strangers in this world, we must deal with three primary relationships: 1) our relationship with God; 2) our relationship with other believers; and 3) our relationship to nonbelievers. The gospel (the big picture) has implications for each of those relationships and that is what this letter is about: how we respond to God and view ourselves in this world; how we respond to other believers who are walking this journey with us and how we respond to those who persecute and hate us. Peter explains that the gospel gives us a living hope that ought change every aspect of our lives. Just as the Olympic athletes change their values, their goals, their actions, their words and their daily routines in light of their Olympic goals, so the gospel ought to change us. Have you seen a map of the universe taken from space with a tiny insignificant pinpoint of light labeled “you are here”? In 1 Peter 2:1-10, rather than demoralize us with our insignificance, Peter inspires us with the plan of God and how we are a part of it. 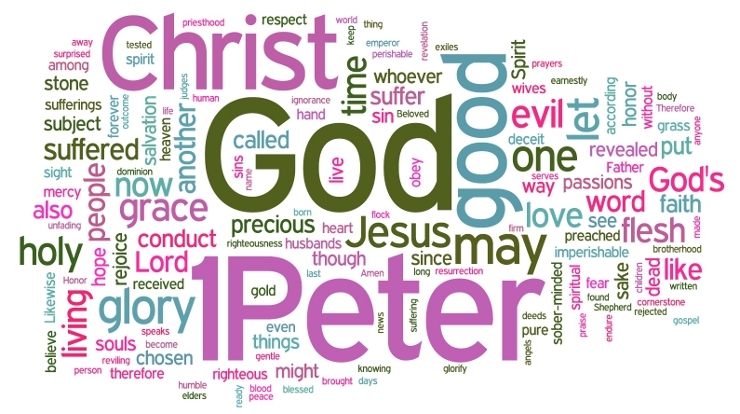 Peter gives the principle in 1 Peter 2:11-12 and then he applies that principle to 3 situations where someone is be treated unfairly in a binding social relationship: a citizen under an unjust government, a slave under an unjust master and a wife married to an unbelieving husband. This talk examines the first 2 examples. In his third example, Peter addresses wives of unbelieving husbands. In each of 3 examples, Peter addresses people who are stuck in a binding social relationship which they cannot easily escape. His advice to all 3 situations is the same: As aliens and strangers you are called to live in a hostile unbelieving world. When possible show the unbelievers that you are a person of virtue by behaving in a submissive and respectful way. Love your oppressor so that your faith is not interpreted as rebellion and hostility, and they may see God’s grace through you. Peter wraps up the second major section of his letter reminding his readers that the more we embrace the truth of who Jesus is and what he did for us, the less we have to fear. The more we know where life, hope and blessing are to be found, the freer we are to let go of this world. 1 Peter 3:18-4:6 includes one of the more difficult passages in the New Testament. However we understand this section, the context suggests that the main point should be related to patiently enduring suffering for the sake of another. Peter concludes his letter by returning to his main theme: Stand firm in the gospel. Peter wrote his first letter give his readers perspective. Our “big picture” –what we believe is true — changes how we think, what we say, and what we do. Peter’s primary concern is to ensure we have the right big picture. He summarizes this theme addressing the leaders of the community. “You Are My God” is from Regge’s album Here and Now. Whether pain or joy come crashing into our lives, as we choose to lift our spiritual eyes to God, He gives us reason to worship Him forevermore.